Sherman Cox holds a M.S. In Computer Science from the University of Alabama in Huntsville and a M.Div in Homiletics from Vanderbilt Divinity School. While at Vanderbilt, he was awarded the Florence Conwell Prize for outstanding work in the area of preaching. 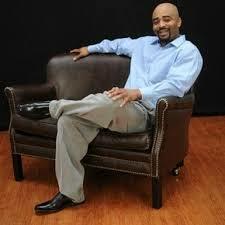 He has worked as an author, minister, and software developer. Perennial student Elliot James has racked up many degrees and is contemplating another to continue postponing life. When his roommate forced Elliot to find a job, he applied for the secretarial position at Bethel Community Church. But, in a case of mistaken identity, the ranking church officer thought Elliot was the perfect candidate for the open pastoral position. He must become a pastor in a hurry because the church is falling apart. The church needed a jolt and Elliot needed a job. Find out what happens when a novice minister finds himself in the driver’s seat of a church? Will the church find their perfect pastor, or will they send him packing? I really enjoyed “The New Pastor” because through the Characters shows the readers that God uses all things for good. This was my first time reading a book by Sherman Cox and I found this book really great. I love this Christian narrative with a little drama, romance and the trials and tribulations with church folks. Sherman Cox created a well written story with well developed characters that I really didn’t want to stop reading. There were also some comedy in “The New Pastor” with the character of Elliot who was a freeloader and didn’t want to work. The character of Reverend David Michael is an individual who have a role of a minister of the Gospel that in my opinion wasn’t called to preach. He is a perfect example of individuals in the Church are in roles that aren’t ordained by God. Reverend David Michael didn’t care or do real ministry of the Church like caring for the elderly of the Church or the youths. The only two things he is only interested in fame and money. He treated his girlfriend Shereese Harris like trash. Minister Aaron who is like a father to Shereese could see right through the mask that David Michael wearing. He believes that Shereese deserves to be with someone better that is going to treat her like a lady. The life lessons in this story through the Characters that you can lied to the people but God will exposed your lies. It is better to be honest and go through the process. 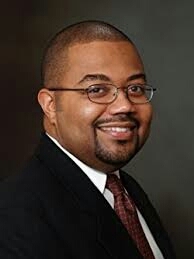 Even though Elliot pretend to be an experience Pastor but in my opinion that God brought him to Bethel Community Church to continue the works of Reverend Harris legacy of Community Ministry. God also was bringing transformation into Elliot life to be a better person. During the times of being Interim Pastor of Bethel Community Church, Elliot noticed a lot of challenges that Bethel we’re facing. Elliot challenges the Congregation of Bethel are they willing to do the work that God required us to do. He practice what he preached by delivery his Sermon in the first part in his work clothes in the pulpit. His sermon was about Standing Firm In Your Blessing. He empowers the Congregation to stop talking about getting their blessing but start to be a blessings to others. 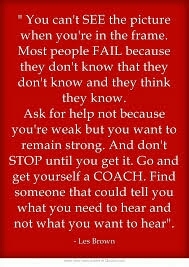 This is a great message for us to start be a blessing to others. 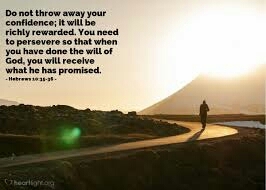 The second part of his Sermon, he instructed the Congregation to change into their work clothes and meet him at the Senior center to clean up the building for the glorified purpose of the ministry of God. That part of the seminar in which everyone can take part in by their actions and not on their words. After their work in the building, Elliot pray the bendection for dissimal of the Church Services. He took the Church out of the four walls Sanctuary into the Community that they supposedly to serve. The Characters in this story should inspires us to dedicates one Sunday a month not just go to Church but do services in the community just like Elliot did. That’s true Church ministry in my personal opinion. I am looking forward to read more works by this Man of God, Sherman Cox. 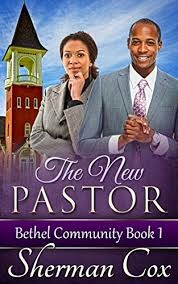 I encourage this Author to write a Sequel to this story to see how Bethel Community Church are doing today and to vision about Elliot and Shereese romance and Christian Living with Christ. Francis Newberry was a loving mother, a devoted wife, and a faithful servant of the Lord—those qualities shifted when her life was threatened by her abusive husband. A heated argument created a ghastly scene that sent Missionary Francis to jail for the crime of a double homicide—husband and the neighbor. Frozen in unprecedented horror, she turns to the one man known as ESQUIRE. As the case unfold, strangers from the past resurface and the eyes within the darkness is revealed— a devilish plot created by a pack of evil men with one agenda.Charles enters a trial of injustice that will cost him something most precious. 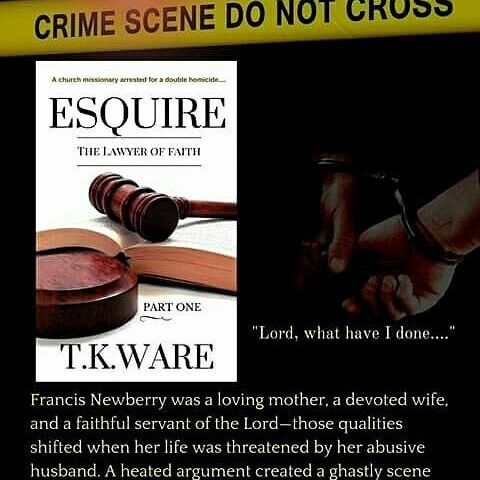 Mr. T. K. Ware written another great Christian Suspense story, “ESQUIRE: The Lawyer of Faith”. This great Christian Suspense story focused again on the character, Charles Everson who is a successful defense attorney. The narrative started with the character, Francis who is a Church Missionary being charged with double homicide. The victims are her husband and a police officer. Charles Everson was watching the news explaining “A middle aged woman was arrested for allegedly committed double homicide. The husband was shot in the chest and head. When the officer broke into the home, he was shot in the head and shoulder. Both men are now on life support and in the event of death, this woman can be prosecuted for a double homicide. The State will most likely seek the maximum amount of time for the shooting of a police officer and an unarmed man. The police are conducting a thorough investigation…” Now you know what that really means? There are a lot of Twists and Turns in this book. Everytime you think you know what going to happens then there is something else takes place. I read “ESQUIRE: The Lawyer of Faith” in one day because the story is very interesting from the cover until the last page. There is something about receiving a gift that turns out to be a 9mm gun, especially when it was inscribed, made this Christian Suspense narrative very entertaining that I couldn’t stop reading until the conclusion. This isn’t the first book of T.K. Ware’s that I’ve read, and I look forward to much more from T.K. Ware, although this is the one that is my favorite book. As usual, T.K Ware always provided a great stories drawing a picture in Sermon to shows the readers that there is faith and hope in every situations. Also we should put our trust in God, and with a great story line mixed with twists, turns, and justice. I thoroughly enjoyed this well written story, and read it from the title page to the final page in one day. I definitely recommends this story, and read many of his works. As always Be Blessed…Stay Encouraged. Change Spirit of Excellence. 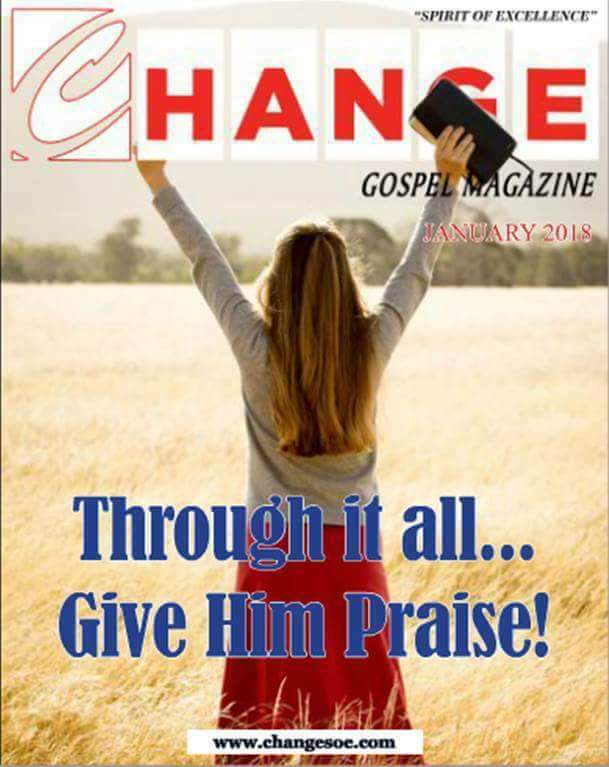 to view magazine go to www.changesoe.com 1.when you get to the website, scroll down a bit until you see this Months issue of the Magazine. 2. Click on the Magazine and it will then open. 3. After it opens, go to the LOWER RIGHT CORNER of the page and click, the pages will turn. If you are using your phone or tablet, then click on the PDF and scroll up or down the view the Magazine Thank you. We Love you guys. Sinmisola’Sinmi’Ogunyinka is an Author, wife, mother, movie producer, and talk-show host. She is also a Craftsman of the Jerry B. Jenkins Christian Writers’ Guild. Sinmi, a graduate of Economics from obafemi Awolowo University, Ile-Ife, blogs, teaches writing and has self-published many books with titles such as “Frail Flesh”, “Pepper”, and “Sister Minister”. She is currently lives with her family in Pretoria, South Africa. A TRUE DREAM novel is a short fiction story told from the character point-of-view on the romantic journey to getting married. It is true romance that should leave you warm and dreamy. Shattered beyond reason from her first relationship, Toya is convinced she can never love again. After years of physical and emotional therapy, and a change of her career, she finally begins to build another life, one she is sworn to exclude love. Captain Odion however is convinced beyond doubt he has found his life partner but can he convince Toya she is the one? 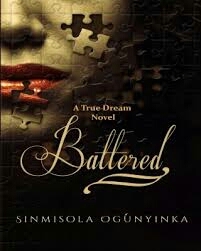 Sinmisola’Sinmi’Ogunyinka created “A True Dream Novel Battered” that is a short Christian Fiction story express from the character point-of-view on the romantic journey to getting married. This is a true romance that should leave the readers warm and dreamy. In the beginning of this story, the readers we’re introduced to the character, Sybil who was discovered naked and beaten in Jimmy Bowale’s living room by the police. Sybil was battered beyond recognition. Sybil was also implicated in a big criminal case. Jimmy’s parents wanted to go for the jugular, and would have been successfully in doing that. Although Jimmy instantly Attraction for Sybil put him in odds between her and his parents. Even after Sybil’s was cleared from the crime that she was accused of, but The Bowale family refused to be persuaded. The question for the readers is, “Can Jimmy fight for Sybil’s affection and win”? In the consequences of, Jimmy realized too late that his greatest obstacles wasn’t with his family , but indeed with Sybil. Sinmisola’Sinmi’Ogunyinka wants the readers to know through her writings that it may not be of help to us if we haven’t yet received Christ in our lives. In the “A True Dream Novel Battered” draws a mental picture in a sermon that we cannot take on difficult decisions unless we are willing to have a personal relationship with Christ. With Christ in our lives who is greater than the enemy to guide our footsteps and choose for us. In the Book of 1st John, the 4th Chapter, and the 4th Verse mentioned ” Greater is He that is in you, than he that is in the world. In the Book of Ephesians, the 6th Chapter, and the 12thVerse, mentioned ” We wrestle not against powers, against therulers of the darkness of the this world, against spiritual wickedness in high places”. Sinmisola’Sinmi’Ogunyinka wants to empower us through the Characters of this story with the messages she written. She also encourages the readers that if anyone haven’t given their lives to Christ then they need to take the time to make an important decisions of salvation. Any story that is written rather it is a Christian Story or not, it should be able to change the mindset of the readers through the messages of the story. I definitely recommend this book to anyone who loves a romance story that is Christian based. I am now getting ready to read “Pepper” by Sinmisola’Sinmi’Ogunyinka. This is an awesome Christian Fiction Story.